"Healthy Cheat, Sneak or Substitute" is the theme for this months #BundtBakers. This is going to be fun! What did I decided to cheat, sneak, or substitute? The #BundtBakers were challenged this month with baking a delicious bundt, as always, but to make some small changes that would make it a littler healthier in a hidden way. 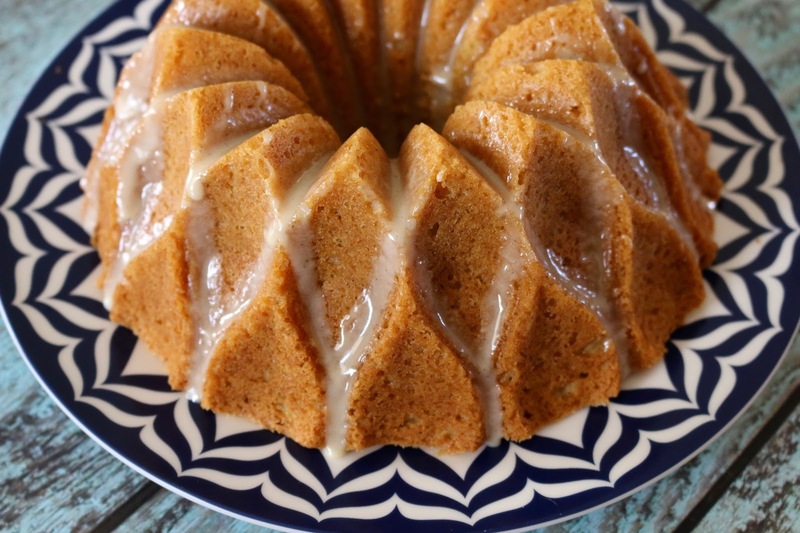 I have accumulated a list of bundt cakes that I want to try baking, and this one was at the top of my list. So, what could I change about the recipe to fit the theme without changing the integrity of the cake? After thinking about it, I decided to change three things about the recipe. Instead of using all-purpose flour I used 100% whole grain white whole-wheat flour. The flour I used is from King Arthur Flour, and on their web site they mention "substituting this flour for up to a third of the white flour in your favorite recipes gives you all of the nutrition and fiber of whole grains without compromising flavor". For my cake I substituted all of the white flour for this flour, and the cake was delicious. I do not have any affiliation at all with King Arthur Flour, I just like their products and wanted to link in case it is not available in your area and you were interested in trying it. Another change I made was to decrease the white sugar. I find that you can do this in many recipes and it does not make a huge difference. In this case it was only a small decrease of a 1/4 cup, but honestly I could have taken out the white sugar altogether and increased the brown sugar a fraction and it still would have been delicious. 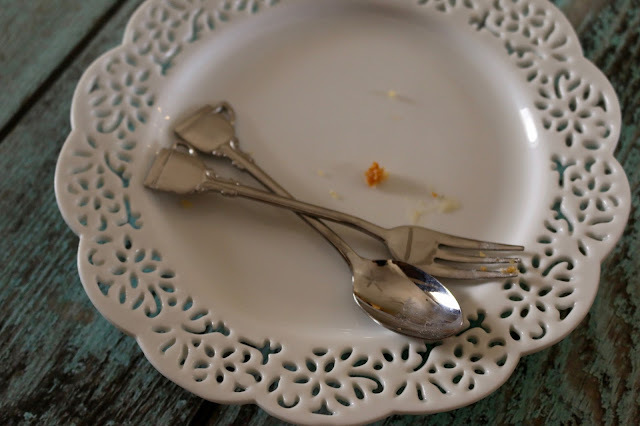 Making this change made me remember a cookbook I own, Baking With Less Sugar by Joanne Chang - love her cookbooks - and it reminded me that I need to get it out and use it more, because I do find that recipes overdo the addition of sugar quite a bit. The final change I made was to add Greek yogurt to the recipe. 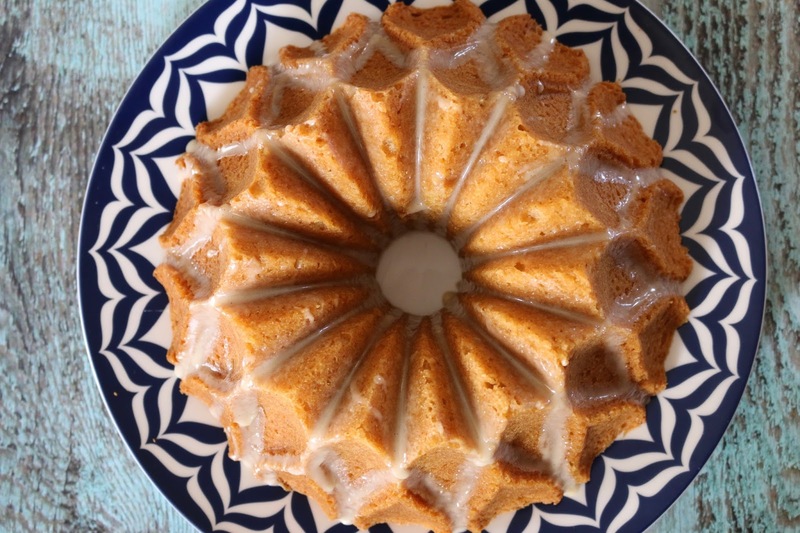 I remember reading somewhere that you shouldn't bake with Greek yogurt unless it is thinned out, so I used a combination of buttermilk and Greek yogurt as the liquid in this bundt. 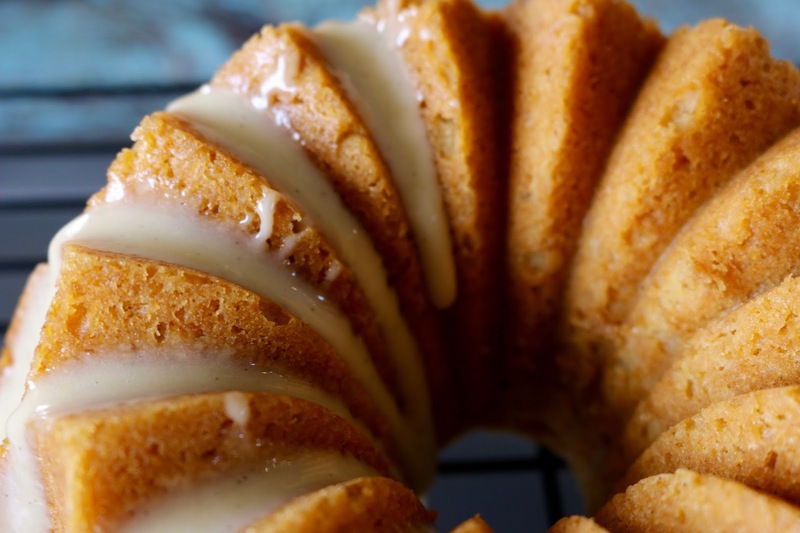 I love the tang of buttermilk in baked goods and I knew that the Greek yogurt would give the cake a nice, delicate crumb. I also added Greek yogurt to the powdered sugar to make a drizzle for the cake. 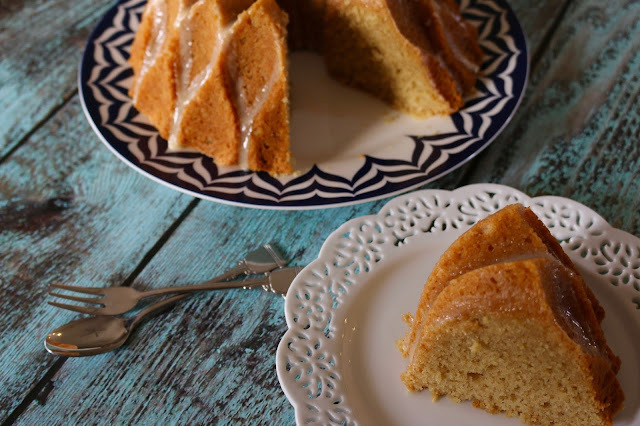 This really was a delicious bundt cake. I am a big fan of malted milk powder which is an evaporated powder made from malted barley, wheat flour, and whole milk. It gave the bundt a wonderfully toasty and nutty taste, and left me wondering why I don't use it more often in my baked goods. It made me glad that I used a little in the drizzle as well. And speaking of the drizzle, the Greek yogurt made the perfect consistency and I loved the slight tang from it too. 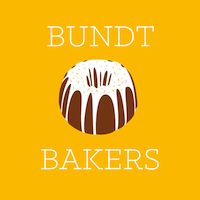 If you would like to know more about #BundtBakers and see what the other bakers made for the "Healthy Cheat, Sneak or Substitute" theme please scroll down below the recipe. Thank you to Andrea from Adventures In All Things Food for hosting this month. 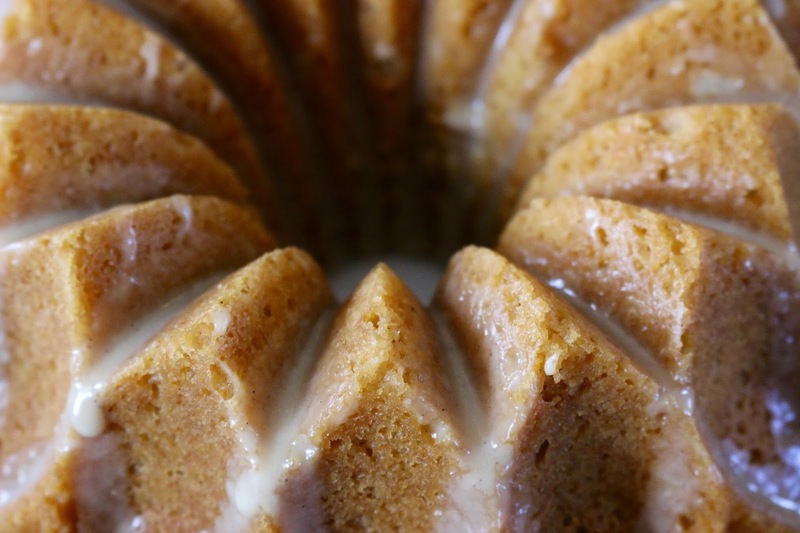 Spray a 10-cup bundt pan with nonstick cooking spray (I am a fan of Baker's Joy). Whisk the flour, malted milk powder, baking powder, and salt together in a medium bowl. Whisk together the buttermilk and Greek yogurt. In the bowl of a stand mixer fitted with the paddle attachment, cream the butter and both sugars on medium speed until light and fluffy, about 5 minutes. Add the eggs, one at a time and then the egg yolk, beating well after each addition and scraping down the sides of the bowl as necessary. Mix in the vanilla bean paste, beating until well combined. Turn the stand mixer to low, and add the flour mixture in two additions alternating with the buttermilk mixture, starting and finishing with the dry ingredients and beating just until combined. Pour the batter to the prepared pan and smooth the top. Bake for approximately 40 minutes, or until a skewer inserted in the center comes out clean. Transfer the pan to a wire rack and let the cake cool for 45 minutes, then turn it out onto the rack to cool completely. Whisk the powdered sugar, malted milk powder, buttermilk, yogurt, buttermilk, and vanilla bean paste together in a medium bowl until smooth, adjusting the consistency as desired. Drizzle over the cake letting it run down the sides, allowing the glaze set for about 15 minutes. Great "cheats" and simple enough for us all to use when baking. I love baking without processed sugar. I feel it gives me more of a challenge to produce a cake that is still moist and structurally sound. I absolutely love your cake flavors and the less white sugar. I too am a huge fan of King Arthur Flour…they just always seem to get it right! 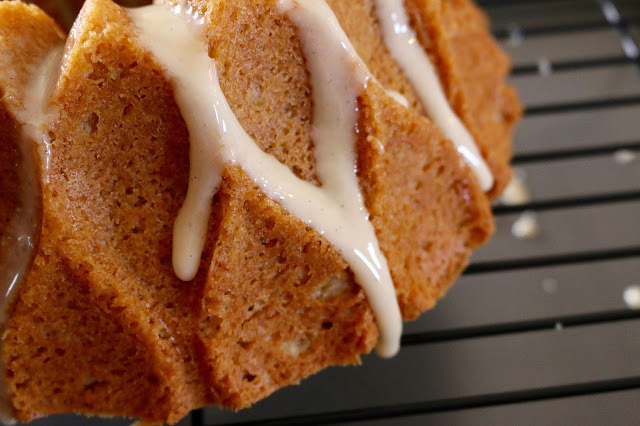 This Bundt is truly lovely and sounds absolutely delicious! I think you did an amazing job! Huh, I bake with Greek yogurt all the time! I've never thought of decreasing the amount of sugar, but it's totally an easy "trick". And I, too, love KAF white whole wheat. This cake sounds super flavorful.